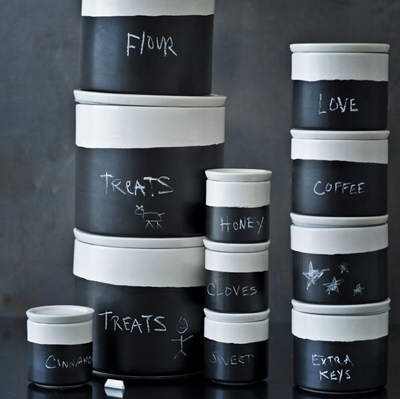 These handmade matte white ceramic Covered Jars With Chalk Surface feature air-tight seals. Each jar and canister comes with chalk. Dishwasher safe. $28-$38. Buy here.